Last Clear Chance” as a Personal Injury Defense - Carabin Shaw Law Firm | San Antonio Law Firm specializing in Personal Injury and Wrongful Death - Experience you need. Results you want. As you can imagine, in every lawsuit there will be obstacles that your claim will encounter that may stand in the way of your ability to get the recovery you deserve. There are many defenses available to the party you file suit against. This is even more of an issue if the defendant has an attorney formulating arguments to avoid being held liable for your losses. One of these defenses that could potentially be used against you is the Last Clear Chance Doctrine. However, with an attorney who knows this area of the law fighting for you, your case can defeat these defenses because this doctrine may also be utilized to your advantage. 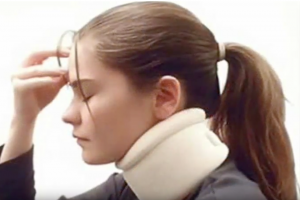 The attorneys at our Law Offices have been handling personal injury cases for over twenty years and have the necessary training and expertise required in these types of lawsuits. To illustrate, if there was a car accident and a number of negligent drivers were involved, each driver may be allotted some portion of blame. If you are found to have been negligent then whatever percentage is attributed to you will be deducted from your recovery. These concepts can be incredibly confusing because of the difficulty that arises when determining the negligence of the parties and ultimately what recovery should be granted. This is why it is so crucial that you obtain an attorney that is familiar with this area of the law and these legal mechanisms and is capable of using them to your advantage. Personal injury cases often involve serious injuries that can result in physical, emotional and financial difficulties. The attorneys at our Law Offices have been litigating personal injury lawsuits for over two decades and are dedicated to ensuring that our clients are satisfied with our legal services. To discuss your potential cause of action, contact us at any time!